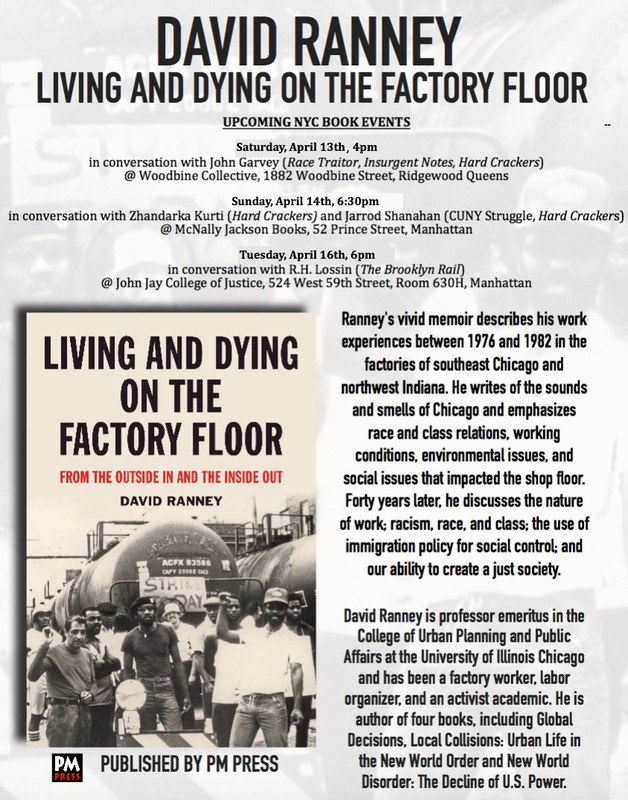 I recently had the honor of speaking with Dave Ranney about his new book Living and Dying on the Factory Floor, a memoir of community organizing and factory work in 1970s-1980s Chicago. The interview, published in Jacobin, can be found here. Next month Dave will be coming to New York City for three book events co-sponsored by Hard Crackers. My longtime co-conspirator Zhandarka Kurti and I will be co-hosting one of these, April 14th, 6:30pm at McNally Jackson Bookstore, 52 Prince Street, Manhattan. 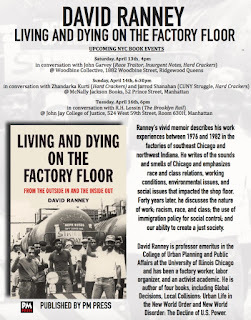 Join us for a dialogue about workplace and community organizing, and the lessons we can draw from Dave's experiences. Dave will also appear on 4/13 at 1882 Woodbine, and 4/16 John Jay College of Criminal Justice. Click here for more information. Be sure to catch Dave while he's in town. And if you haven't picked up the book yet, what are you waiting for?